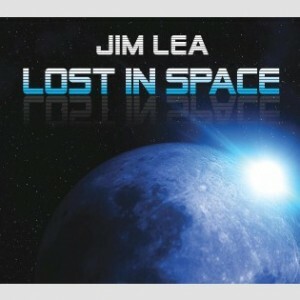 Share the post "Interview: JIM LEA"
Jim Lea, the former Slade bass-player and one half of the mega-hit Holder-Lea song-writing duo, has a brand new six-track EP out: Lost In Space. I caught up with Jim to discuss the inspiration behind the title track and the other songs on the EP, to talk about his appearance at Wolverhampton’s Robin 2 venue last Autumn and, of course, to hear a few recollections from the old Slade days as well as the challenges that life throws up outside the world of music. So often, introspection is portrayed as being sad and angst-ridden yet Lost In Space is a very uplifting song with a great catchy chorus. Jim has certainly lost none of his knack for writing catchy uplifting choruses. For such an upbeat song I put it to Jim whether there is a subtle inference here that being caught up in your own world can actually be a pretty happy place. JL: “It is when you’re happy yeah but you have to find yourself first. You have to be happy with it. I think a lot of people do it to escape. It’s one of the autistic symptoms when people are being diagnosed. They don’t connect. I’ll tell you who came out and spoke about it – Chris Packham from Springwatch. Millions of people must have seen that programme about it. I’m sure I’ve got grains of autism in me but I’m nowhere near as bad as him. He just lives in a tiny little cottage in the middle of a wood with his animals. JL: “Yes, yes. This is the new me. I’m obviously not bothered about talking to you at all. You seem quite a nice chap! I’m a lot more relaxed about the whole thing. Whereas back in the day with the band for a long time I wasn’t. I was better off in the eighties and going into the nineties, but in the seventies I couldn’t cope with all that. JL: “No. The songs on this EP – I don’t know whether you know I had cancer – and these songs are from pre-cancer. They’re quite old. You can probably tell I’ve got a frog in my throat and I’ve never been able to get rid of that since I’ve had my cancer treatment. I’m not on the treatment any more but it just doesn’t go away. Luckily I’ve got some vocal tapes from god knows how many years ago that I just re-recorded quickly. Because my brother, who’s looking after me from the record point of view, says do you fancy doing an EP. 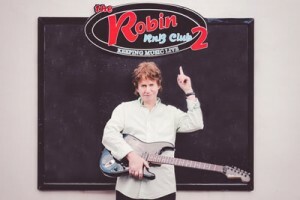 You took the stage at the Robin last November for a Q&A session to launch your new DVD (a live recording of his 2002 solo gig at that same venue) but at the end you surprised everyone when you came back on stage with your guitar to blast out some old Slade classics. JL: “When I went off – we had a bit of a scam me and Paul Franks (radio presenter and interviewer that day) and he said Jim wanted to share something and he’s just going off. But when I got down there the people who are looking after the stage side of things they’re all chatting together. And I said what are you doing I need my guitar. Where’s my guitar? I was shouting at them and I was really in a bad mood and I said to the sound guy get out the front and get on the desk…. and it was at least three or four minutes before I came out. JL: “You’d see these old singers like Frank Sinatra when they’re past it and their voice just cracks up and I said I can’t do that. And then I got this idea of knocking a few backing tracks up and I did some vocals to see what it sounded like. But I only did four tracks and then I thought hang on I could play along. JL: “Well I used to play the violin on stage. Really it was the band trying to stand out and I think it was about the end of the sixties and you are quite right about Fairport Convention and Dave Swarbrick and there was East of Eden and Dave Arbus. And that guy played on The Who’s Baba O’Riley on the Who’s Next album. In the studio Pete Townsend came walking through. I was there messing about with my violin and he said here mate can I look at your violin. And I said I’m not giving it to you. You’ll smash it up. No mate that’s just stuff on stage. I don’t do any of that. Can I have a look? I want to play a violin. And the next thing I know it’s on Baba O’Riley with Dave Arbus playing. But with Coz I Luv You we’d had Get Down And Get With It as our first hit and it was about coming up with the next one. Because Get Down And Get With It was an everybody-join-in type thing I thought to write something like that is just going to be a cop-out. So I thought about bridging the fact that we were going to make a pop single with trying to make it a bit gritty as well. So I came up with (sings melody) and I got my acoustic guitar and I went over to Nod’s. I’d never written with Nod before and really it was like trying to get the singer on board so it’s kind of political in case it was a ‘well I don’t want to do anything with a violin’. That’s what could have happened but it didn’t. JL: “And the other thing with the band was because of our sort of wacky image which we kept going on with for too long. Well not we, but Dave did. You know look at Quo back when they did Ice In The Sun and they changed the way they looked to do a different thing. Same as the Beatles changed but you know that never happened with us. But there was something from the wacky side of it and because we were having hit singles. Back then if you were having hit singles you were a pop band and we weren’t a pop band. I mean we could always blow off anybody we were playing with. OK there wasn’t the musical virtuosity in the band but it was a fantastic band. And together – you can forget the recording and all that because you can always mess around with that and try to make it sound a bit more sort of credible – but there was something about the four of us playing when we were on stage. JL: (Laughs) “At times I thought about doing it. In fact, I was probably the first one to think about doing it. That was back in post-Reading days. But there seemed to be a reaction that I shouldn’t do that and that if there was going to be any book it should be a Slade book, not me. So I just left it and then Nod did one – which I’ve never looked at and Don did one which I’ve never read either but it’s supposed to be very good I’ve heard. JL: “My musical career has been punctuated by having to look after my father to save my mother because he was driving my mother mad. He’d got dementia and then there were two or three years with my (older) brother the same thing happened and I was on care duty for both. So that’s six year’s gone and now my mum herself is housebound. I’ve just come from her now and I’ve always thought being of service to others is a big thing to do in life. It’s hard work because you have to give up your own wishes and your own life. You have to hand over what you want to do in order to help the person that needs the help. For all of his musical legacy it’s clear that family is very important to Jim and you get the idea that there is no way he would not have been there for those who needed him most. But it’s also clear that Jim Lea still has something to contribute musically and is enthusiastic about his latest EP. He doesn’t even baulk at the round of promotional interviews that need to be done these days as long as, given his current health, there are not too many of them. This entry was posted in All Posts, INTERVIEWS, Interviews/Rock Stars and tagged bassist, Classic Albums, classic rock, Cuz I Luv You, Dave Swarbrick, EP, interview, Jim Lea, Lost In Space, Noddy Holder, rock, Slade, songwriter. Bookmark the permalink.